The rain on the weekend was very welcome! Things were quite dry on our farm, and the trees & vegetables were looking a bit weary after the heat of the previous weeks. However, 2 days of rain perked them up & freshened up the entire farm (including weeds). But it certainly looks like fall here. 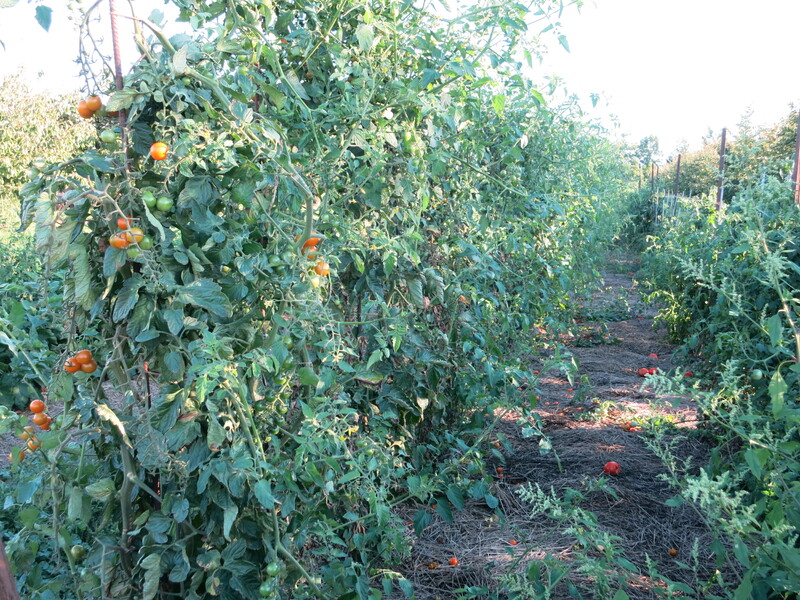 Many of our tomatoes – especially the heirlooms – are brown & dying back. 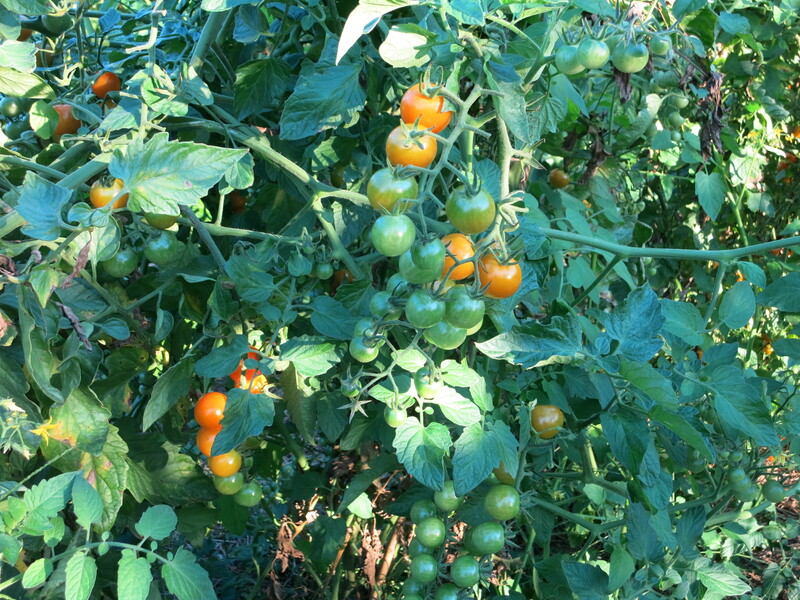 Other, like these cherry tomatoes are growing wild & unruly and still pumping out the fruit. 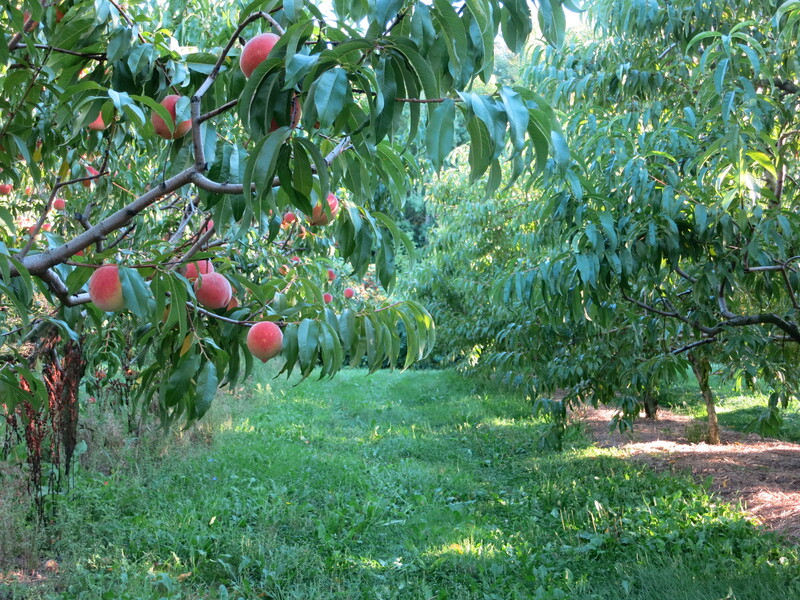 There is only 1 row of peaches yet to be harvested. Some years when it is cool, these later peaches have little colour, and a dry texture. This season thanks to all that warmth we have had, they are colourful & flavourful – sweet & juicy! 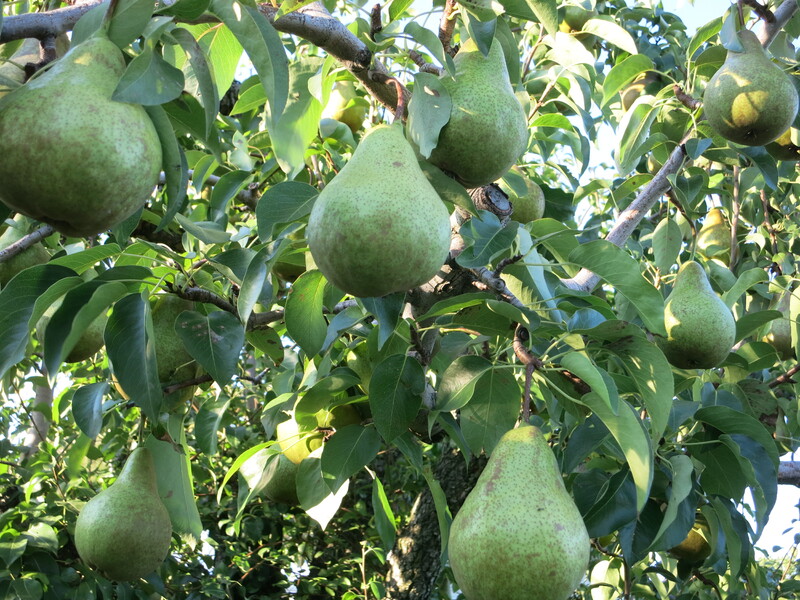 The Bosc pears are still on the trees & will be picked this week. 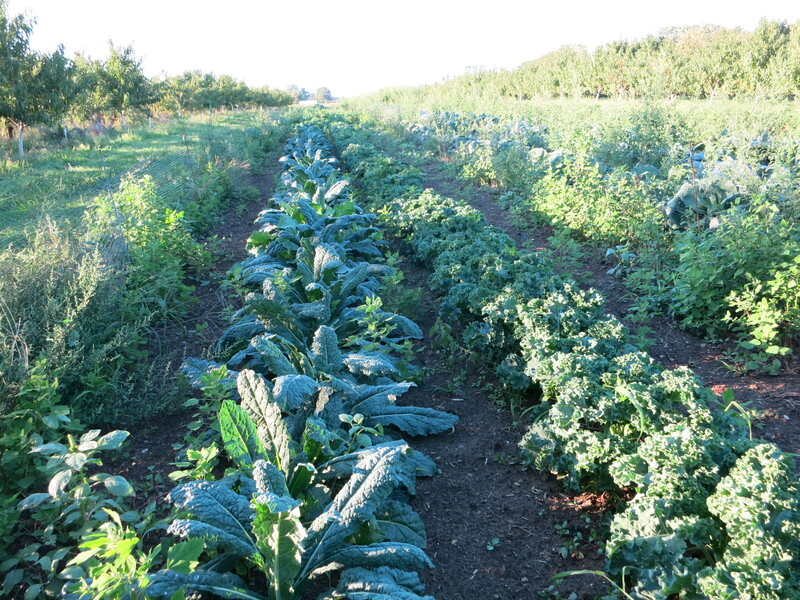 A new planting of kale ready to be cut. 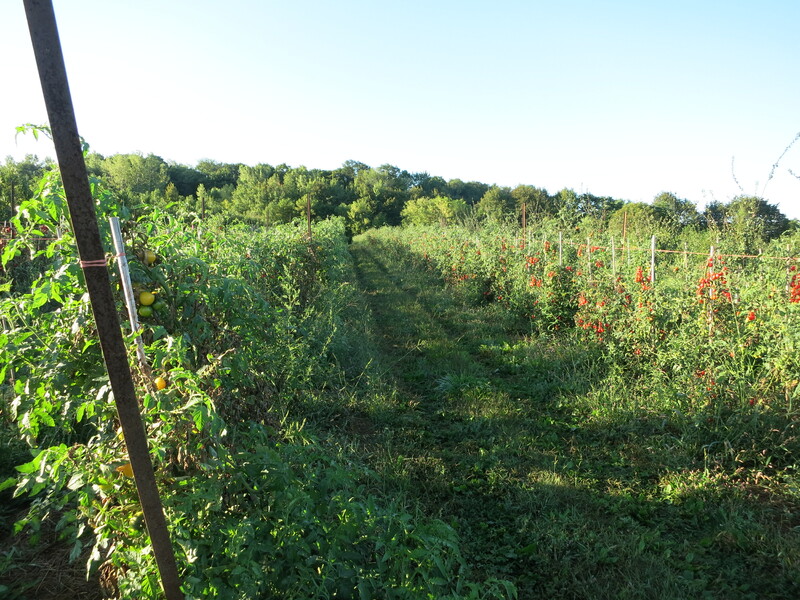 Green beans, cabbage, sweet peppers, tomatoes, Bartlett pears, Seckel pears. Extras – peaches, hot peppers. A late summer planting has produced a bounty of beautiful green beans. We had some at dinner today & they taste wonderful! 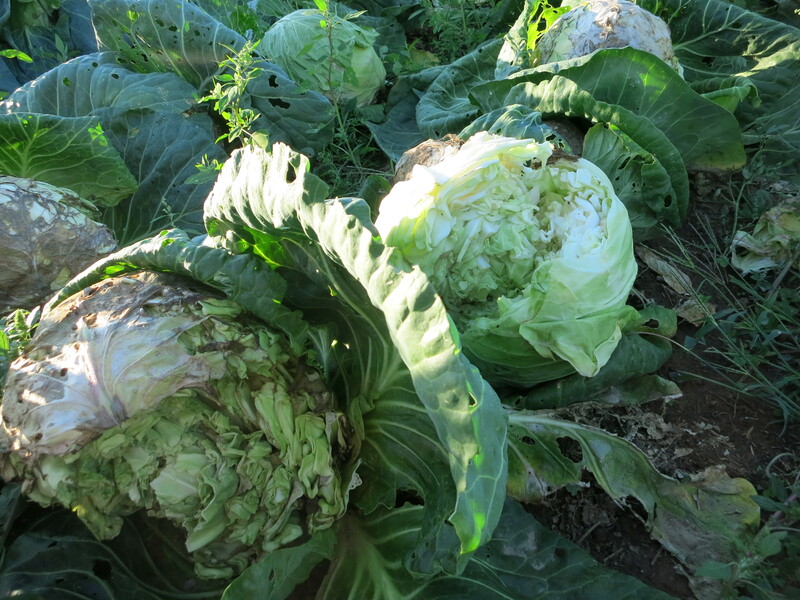 The cabbage that looked so good the other week is being eaten rapidly by … ? Good thing we planted lots – there will be enough for our CSA boxes this week! It may be the light green, tender, early cabbage that we had a few weeks ago, or the darker green, more robust late cabbage. 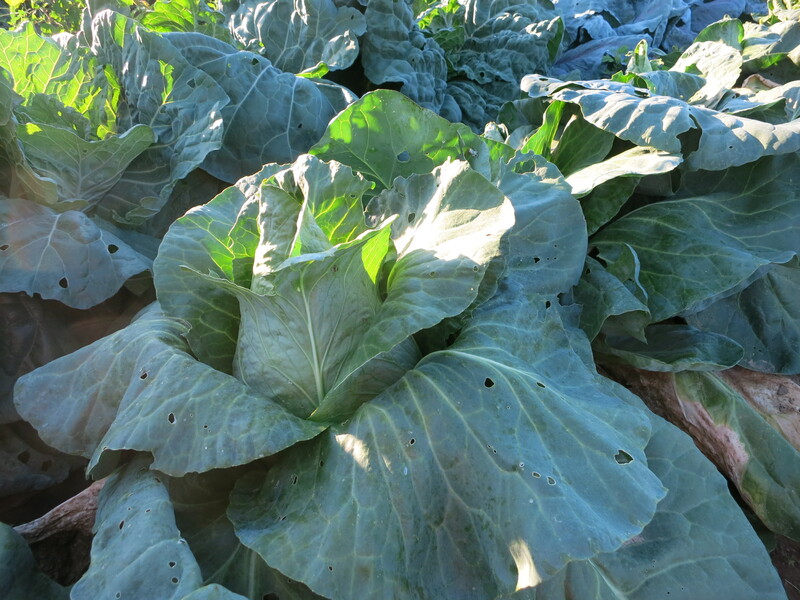 Then there are some “conehead” cabbages – something new for us this season – that are round at the bottom & pointy on top. Sweet peppers & tomatoes continue to be a part of your share, though perhaps in smaller quantities. It’s fall – pear season! 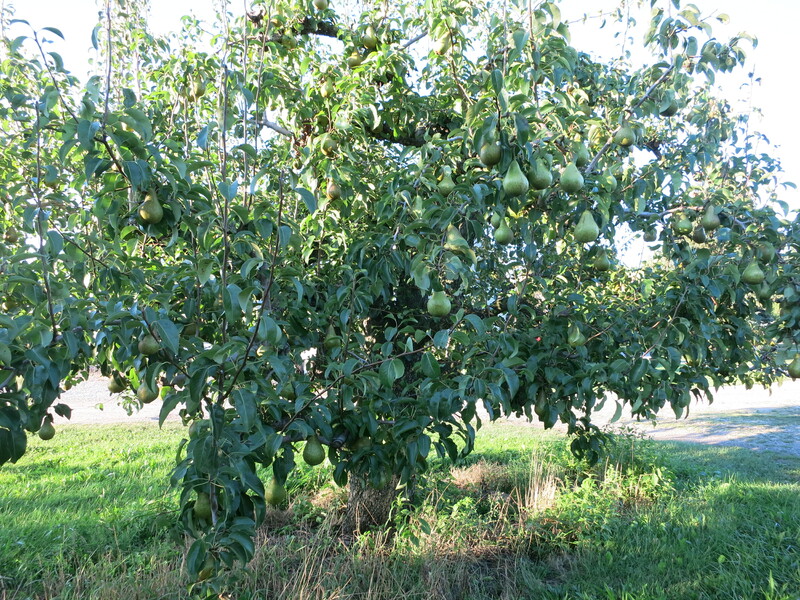 This week there will again be 2 kinds of pears – Bartletts & the little Seckel “lunchbox” pears. A reminder again that pears can change from almost ripe to overripe very quickly. Store them in the fridge. One way to use very ripe pears is to make pear sauce – just like applesauce, but made with pears! Peel, chop, cook, add some sugar & mush them up. It’s easy & delicious! An extra this week – peaches. 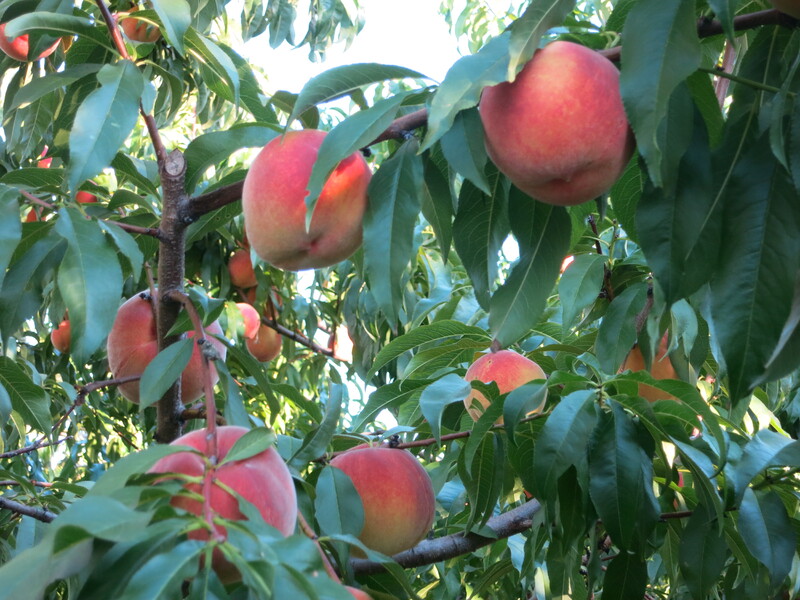 There will be some #2 grade peaches available for those who want that final taste of summer! 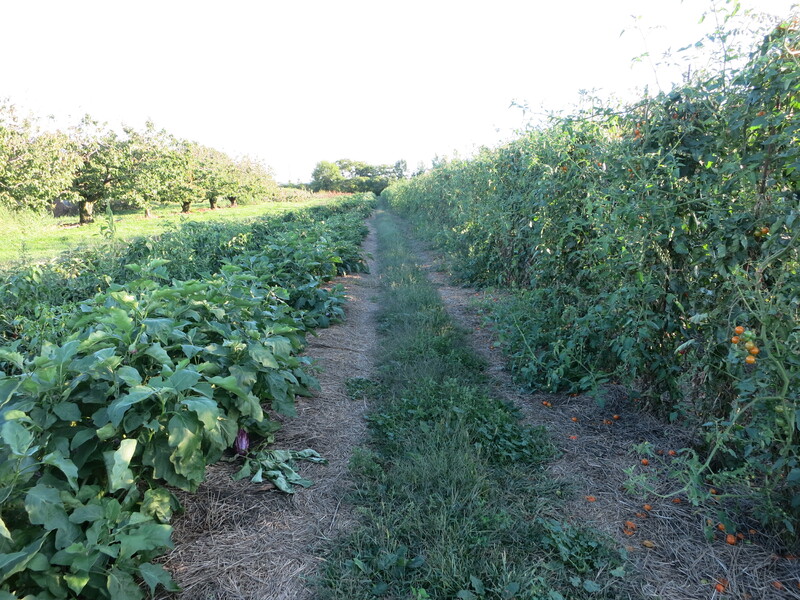 After this week, there will be 2 more weeks in our CSA program for 2015!